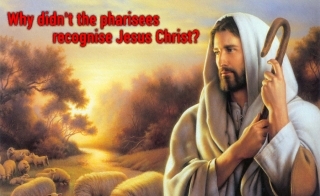 Why didn’t the Pharisees recognise Jesus Christ? Today many people use the internet to collect information of their interest, and we are no exception. Recently I have found a list of questions relating to our subject, where somebody asks a consultant on the Christian portal www.bible.com.ua why Israelis did not recognise Jesus Christ despite all the “hints” they had. The consultant’s answer has seemed convincing and trustworthy to me. The answer well correlates with the present-day reality where for some reason we got the first critical and negative reviews on our publications from contemporary clergymen (see an example), and such opinions are very similar to those of Judaic Pharisees and lawyers who lived two millennia ago. Well, we are not going to draw any accusatory parallels, for our task is totally different.